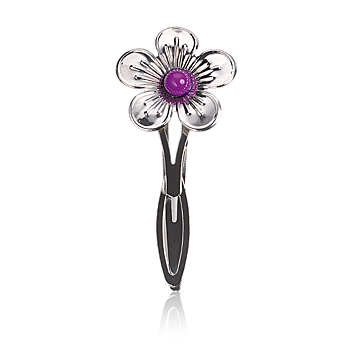 Your guide or perhaps a cute match to your laptop - to exhibit you where you left it alongside the metal blossoms may caress your eyes so cute!A beautiful metal bookmark is a superb page-marker for the everyday reading enjoyment. Nickel safe. Duration: 8 cm.